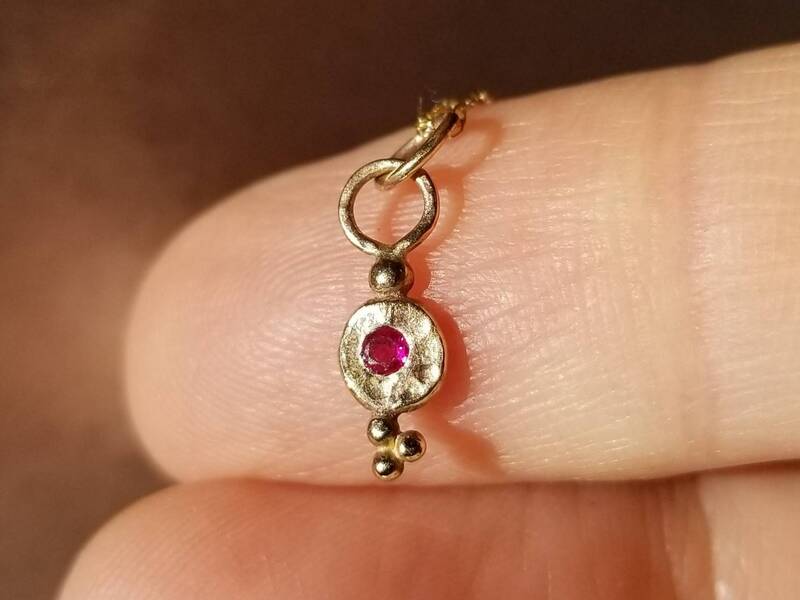 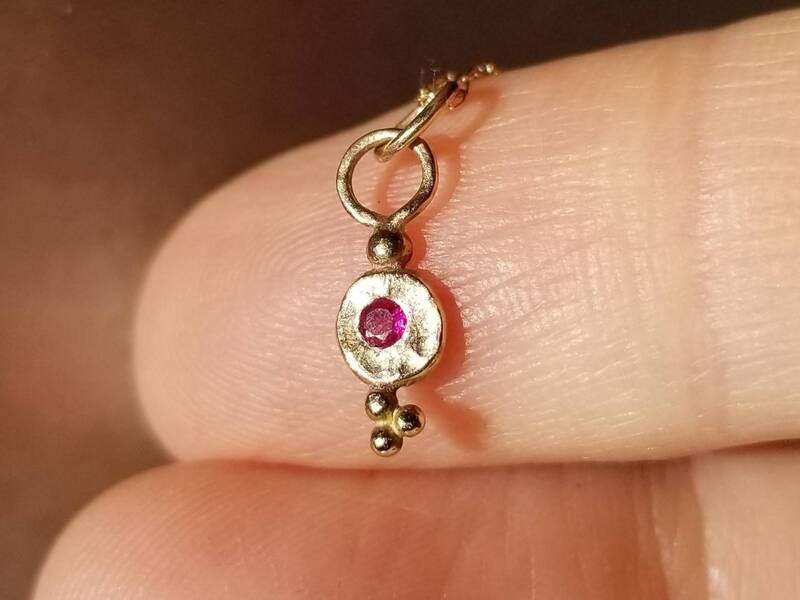 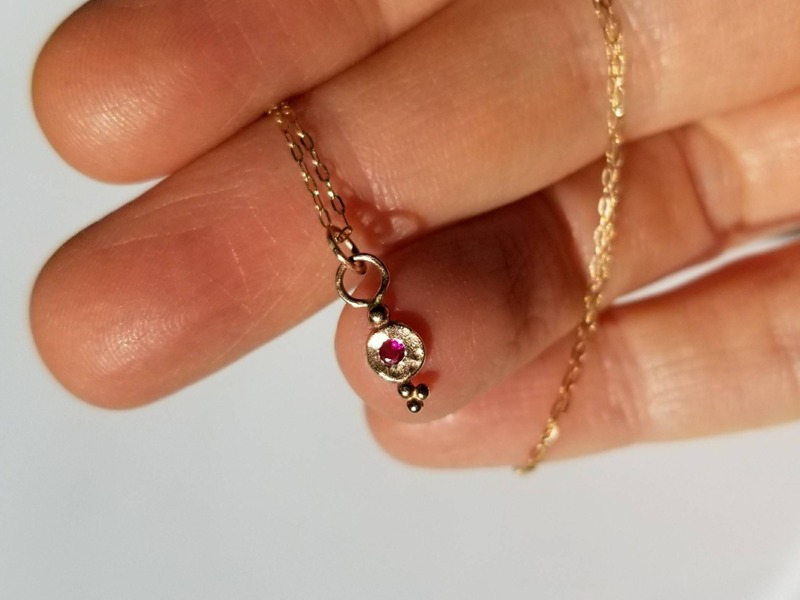 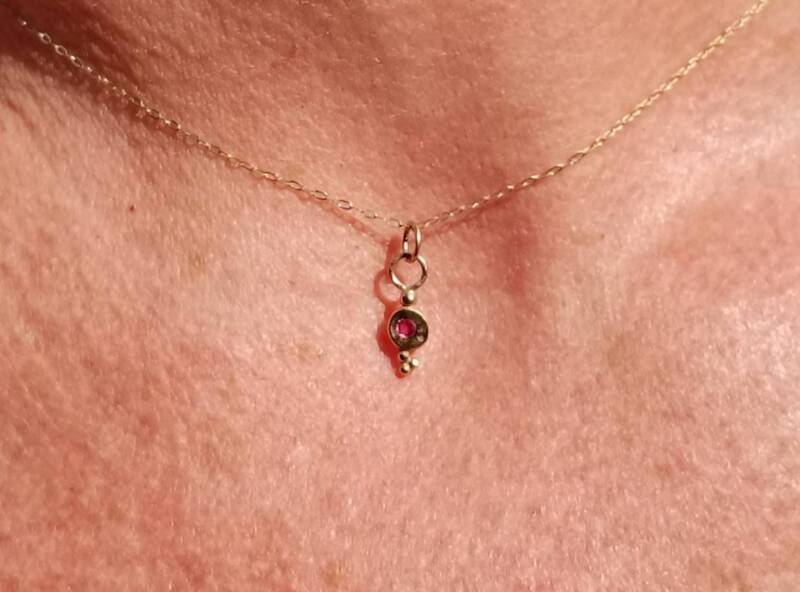 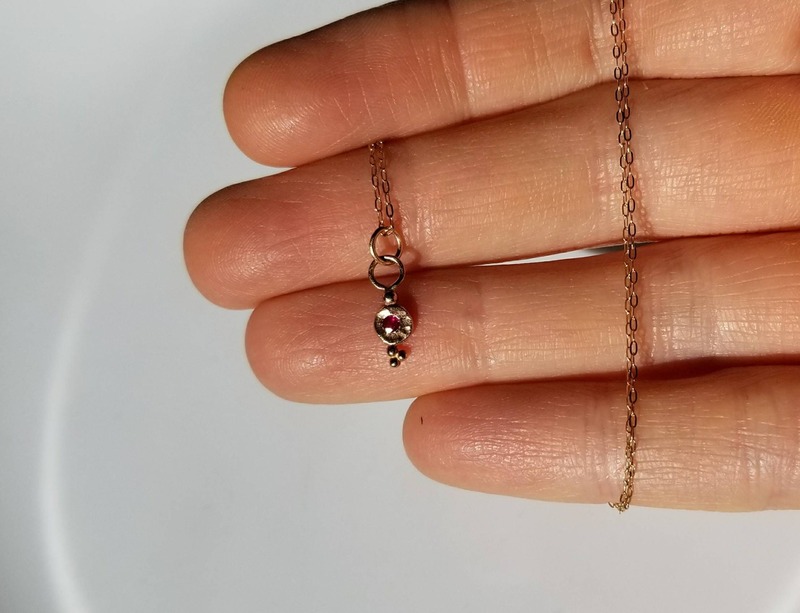 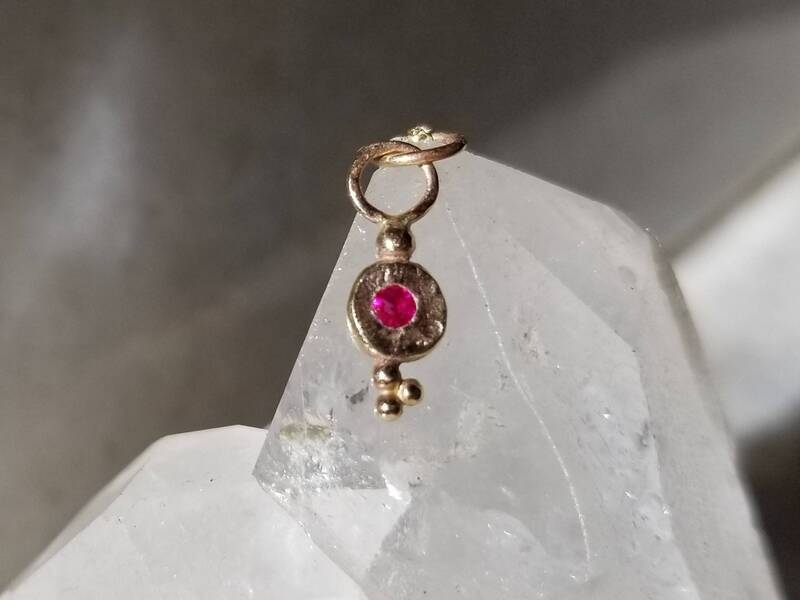 I created this unique tiny pendant out of recycled gold and flush set a intense red 2mm AAA quality natural ruby. 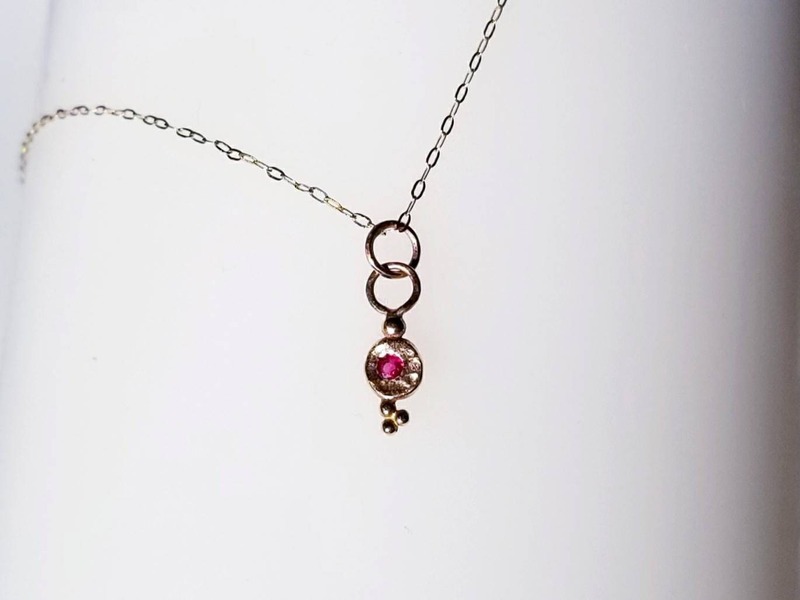 It is very dainty and feminine. 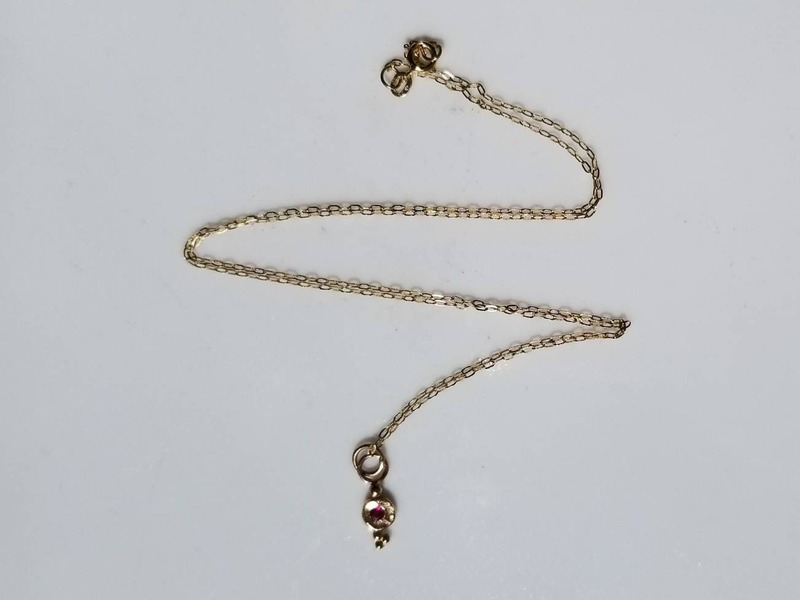 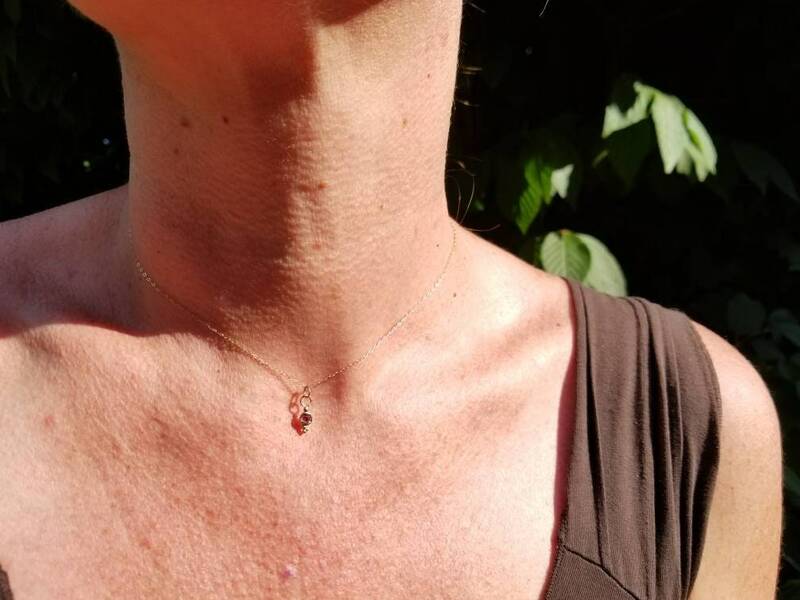 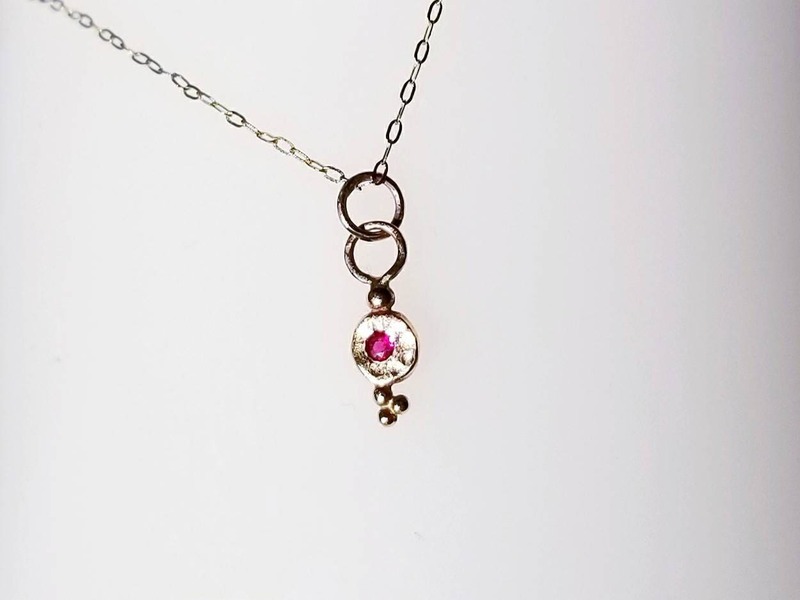 This pendant is one of a kind and comes with a delicate 14k gold 16 inch chain.